First exclusive photos: BMW at the 2016 Paris Motor Show! We managed to get a sneak peek at the Paris Motor Show stand of BMW - two days before the show starts! Come with us. Exclusive photos! Patience. Nothing, we as BMW MOTOR SHOW BLOG crew have a lot. The BMW stand is still under construction, which is why the cars are not parked at there final place at the moment. Instead they stand behind the stage – where we could take some pictures. Also on our Facebook page you will find a 360° photo. The cars on the photos includes the BMW M2 MotoGP Safety Car, the BMW Formula e Safety Car as well as the new BMW 3 Series GT. But there will be some other big reveal on Thursday, as we learned today – since BMW published a picture at their Twitter account. This particular car could not be seen onside at the stand – at the moment. So we are really looking forward to the press conference on Thursday, which you may follow here at the blog via live stream. Here we go – the photos! 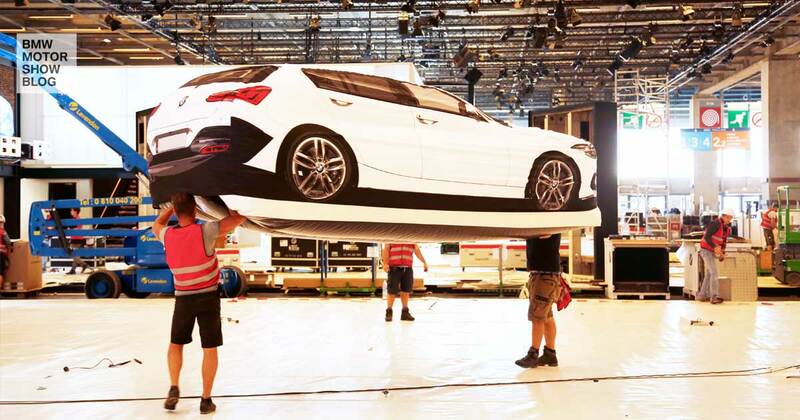 The Paris Motor Show will take place at the Expo Paris, 1 – 16 October 2016. The press days will be on 29th and 30th of September. Expect the BMW MOTOR SHOW BLOG to bring you lots of news and photos live. You may follow us on Facebook, Instagram and Twitter.